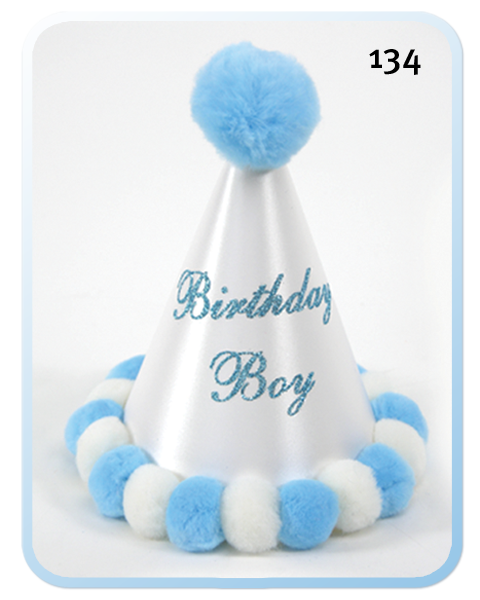 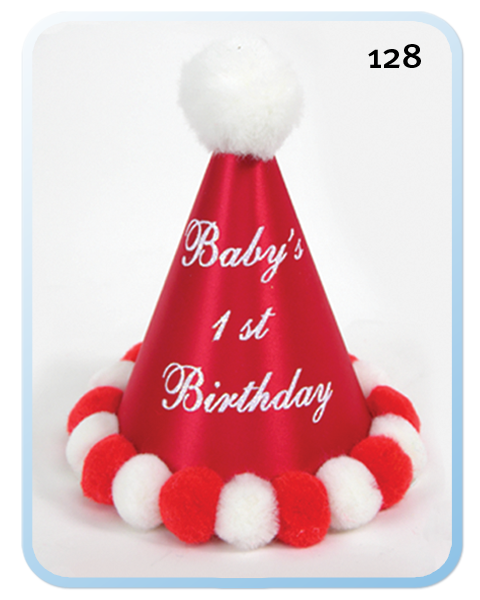 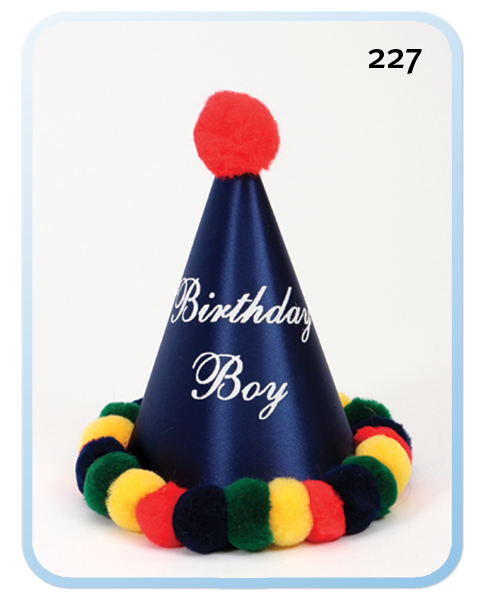 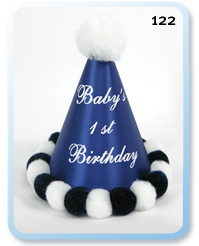 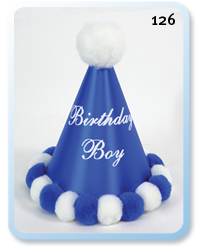 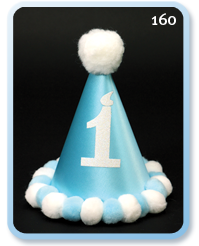 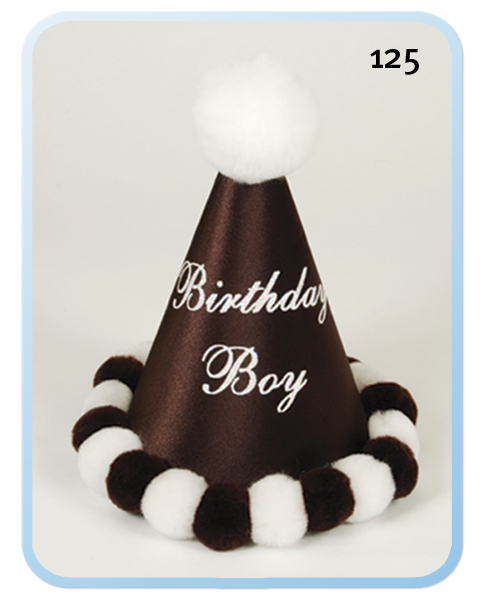 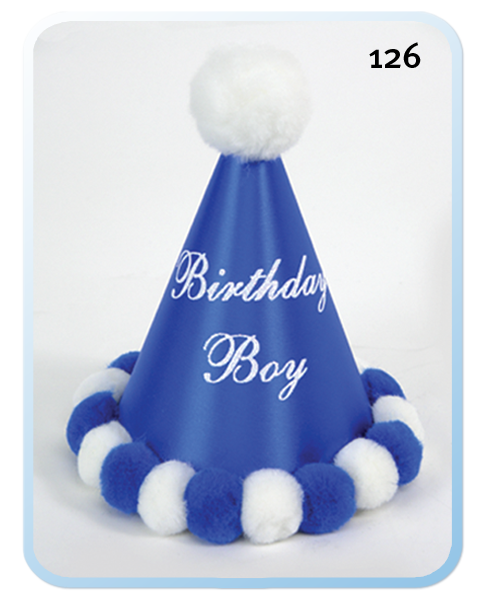 Celebrate your birthday with our tall cone hat and feel like a prince. 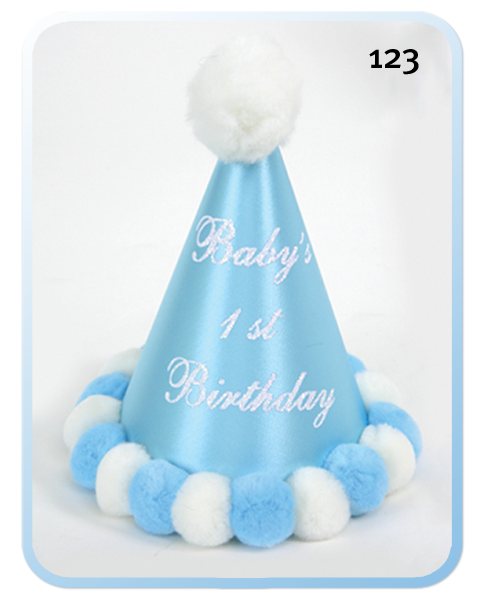 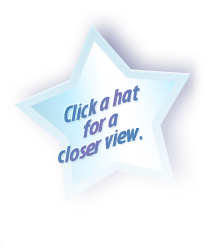 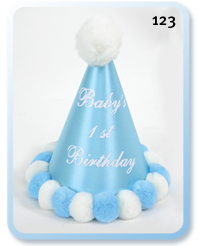 Our hats are made from luxurious satin and pom poms. 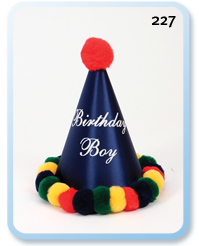 Also comes with an elastic strap to place under the chin. 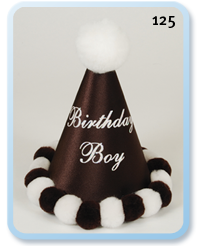 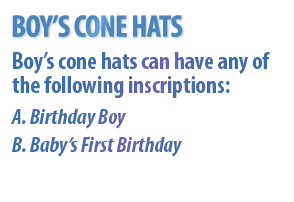 Our cone hats are handmade and crafted with TLC in the USA.